Do not add minutes to a phone without DMFL. 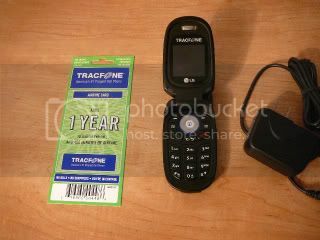 The Tracfone DMFL Double minute for life card will cost you $50 to upgrade any phone. Buy one of these New phones with DMFL for less. These are really good Tracfone Christmas Special Deals with Free Next Day Air 12/20/08 and 12/21/08. 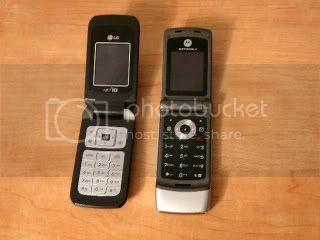 The best deal for a Tracfone and Minutes is the New LG 225 Camera phone with One Year Card. This deal is no longer highlighted at the top of the page. Scroll down the page you will see LG 225 + 1 Year Card. I recently purchased one of these for a friend and activated it with Bonus Code 55118. We got 1120 minutes 14 months service and the Brand New LG 225 Camera phone for $99.99. We used the $3 off Buying code (23444) so it came to $96.99. Free Next Day Air Shipping December 20th and 21st. Buy Tracfone Christmas Special On Saturday or Sunday December 20th or 21st and get Free Next Day Air Shipping.